Looks like Godzilla’s new stomping ground is in Texas. 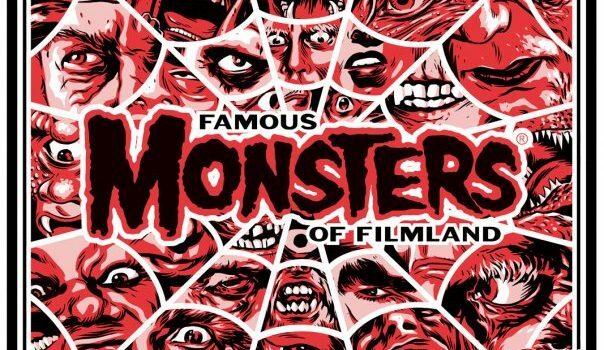 For three days in May, the director and special effects cinematographer of the award-winning SHIN GODZILLA are coming to Dallas as part of the official Famous Monsters Convention. Cosmic-Con, the events division of Famous Monsters, is pulling together a unique experience forged from the science fiction enthusiasm for conventions and the creative passion of horror fanatics. Running at the Sheraton Dallas Hotel May 26-28, 2017, the convention will feature genre film and television stars, vendors, artists, and a full-blown independent film festival, the 2017 Silver Scream Film and Comic Fest. One of the packages offered gives fans a chance to view a screening of SHIN GODZILLA sponsored by FUNimation, followed by a discussion with director Shinji Higuchi and cinematographer Keiichi Sakurai and admission to an exclusive after-party. The film recently cleaned house at the Japan Academy Prize Awards, winning Best Picture, Best Director (Higuchi and Hideaki Anno), and Best Editing, among others. Famous Monsters Convention Dallas is Higuchi and Sakurai’s first US appearance since the Awards. Anniversaries also abound this year in the world of genre film, and Famous Monsters Convention Dallas will be celebrating several of them: 35 years of BLADE RUNNER with star Sean Young, 30 years of STAR TREK: THE NEXT GENERATION with cast members Michael Dorn, Gates McFadden, and Marina Sirtis; and 85 years of Universal’s THE MUMMY with Sara Karloff — daughter of the mummy himself, Boris Karloff. Other announced guests include X-FILES Lone Gunmen Dean Haglund, Tom Braidwood, and Bruce Harwood; and original underwater Creature Ricou Browning of CREATURE FROM THE BLACK LAGOON. To purchase tickets and learn more about the convention, visit their site!